Varna of Sanatana Dharma is misinterpreted as a concept and as practice. This page clarifies confusions around Varna through an FAQ. How many Varnas are there? There are four Varnas. There is no fifth Varna. What are the names of Varnas? Brhmana, Kshatriya, Vyshya and Shudra. Dvija refers to Brhamana, Kshatriya and Vyshya. Dvija means “twice born”. First birth refers to biological birth and the second birth to the initiation to Brahmacharya through Upanayana Samskaara. What is Karma? What is Guna? Karma means action. Karma is sum total of all actions of an individual. Guna is Quality of the individual due to mental modifications of the individual due to all previous actions of the individual. Quality, referred herein, is of Satva, Rajas and Tamas categories. An action may result in positive result or negative result. Positive result will create an impression on the intellect and purifies the mind. Negative result will create another impression on the intellect contaminating the mind. How Karma and Guna are related rebirth? What is Guna at a given point of time? In principle, at a given point of time, Guna of an individual is based on the impressions created on the mind of the individual at that point of time due to previous actions performed by the individual. What is the Varna at the time of birth? Varna at the time of birth is determined by the Varna of the parents. More precisely, the Guna and the Karma decides the context of the child. If Guna and Karma changes with every action, the Varna may also be based on the Guna and Karma at any given point of time. But since there are only four Varnas, the Varna may not vary too frequently. Some people think that Varna to be decided on Guna and Karma independent of the Varna at birth. Fixing the Varna of a person based on the Varna at the time of birth is not acceptable to these people. Some others point out to the impossibility of determining Varna independently at any given point of time. It may be possible to detect Guna of a person by means of various carefully designed tests. But, the past Karma is unknowable in nature. So, the impossibility of determining Varna. Moreover, duties of Varna Dharma can not be performed by an individual alone. Cooperation from other family members is required in many situations. If the members of a family are assigned different Varnas, performance of duties enjoined to Varnas can not be performed. Since Varna need not change frequently, one Varna for one life is reasonable, according to traditionalists. What are lifestyle of different Varnas? Duties of Brahmana is to study Vedas and teach Vedas to other two Dvija Varnas. Performing sacrifies, priesthood, are also duties of Brahmana. Ruling the subjects, study of Veda are duties of Kshatriya. Study of Vedas, Trade, and agriculture are duties of Vyshya. sustaining Varnadharma through serving other Varnas is the duty of a Shudra. What is the Varna of a Family? Varna of a Family is the Varna of individuals belonging to that family. The assumption here is that the Varna of all of the family members are same. If family members of a family, for some reason, belong to different Varnas, the family may not be in a position to unambiguously follow any one of the Varnas. What is the effect of Marriage on Varna? Marriage among bride and bridegroom belonging to two different Varnas leads to Varnasankara (mixing of Varnas). The Varnas of the parents under specified circumstances may be lost (or changed). The offspring of couple belonging to different Varnas, are not necessarily identified with one of the Varna. Some person may not have a Varna identity. Although there is no fifth Varna, those who does not have a Varna identity are termed as Panchamas, by unofficial and/or untraditional sources. Jaati is that which comes along with birth. Jaati is Varna for those who have Varna. Thus, Brahmana, Kshatriya, Vaishya and Shudra are also jaatis. Offspring of a couple belonging to two different Varnas will get a new Jaati. Similarly, offspring of a couple belonging to two different Jaatis would create another Jaati. Thus, with respect to time, the total number of Jaatis will continue to increase. What is the difference between Dharma, Aaachaara, and rituals? Dharma is that which sustains – that which is always right. The conduct that upholds Dharma is called Aachaara. Rituals are those procedures that sustain Aaachara / Dharma. Rituals have the potential of delineating the boundaries of Jaatis. What is mata – religion? An opinion, not necessarily perfect, about the reality is mata (or religion). Mata aims at following Dharma in letter and spirit. 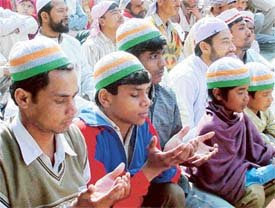 Religion strives to provide a context for individuals, families, and society at large to adhere to the path of Dharma. But, the religion may not be sufficient to adhere to the path of Dharma. Is Untouchability a part of Hinduism? Untouchability is not an inherent practice of Hinduism. At best, it may be described as a distortion introduced into the Hindu way of life. Aachaara prohibits unrestrained eating patterns, guides choices in marriage, dress, and other aspects of life. Cleanliness practices necessitates separation. There is separation among men and women, among Varnas and among various Jaatis. But, sense of exploitation, inequality, hurting attitudes, were not present within the Hindu society. Shudras practiced separation as willingly as Brahmins as part of Aachaara. Shudra supported a Brahmin to faithfully uphold Varna dharma and Aachhara necessary to uphold Varnadharma. But, with the superimposition of English education on the Hindu society suddenly introduced new kind of interactions alien to the Hindus, creating ill will among various jaatis and Varnaas. The ill will is untouchability – a distorted interpetation of aachaara. What is sustaining social disharmony today? Deviation from Varna dharma leads to dilution of aachaara among Brahmins as well as among other Varnas and Jaatis. Dilution of aachaara creates contradictions. When there is an attempt to live with contradictions and assert Varna/Jaati identities, social harmony would be affected. In the context of deteriorating social harmony, suspicion among groups of people grows. The suspicion leads to denial of individual freedom, which is very much essential for adhering to the aachaara. The vicisous cycle continues and the trend of deteriorating social harmony gets strengthened. In summary, misinterpretation of Aachaara and denial of individual freedom is sustaining social tensions among various castes today.